Highest commendation in the tasting is awarded to St. Innocent. 13.5% alc., 2,043 cases, $25. A blend of grapes sourced from Vitae Springs, Freedom Hill, and Zenith vineyards cropped at 1.2 to 2.7 tons per acre. Young plantings are blended with a consistent Pinot Noir base wine from both old and new blocks of the Vitae Springs Vineyard. 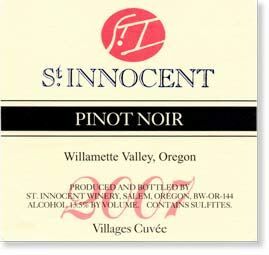 In Oregon and through the St, Innocent tasting room, this cuvée is entirely from Vitae Springs Vineyard but the cuvée sold in other United States markets contains 80% of Vitae Springs Vineyard with some Zenith Vineyard and Freedom Hill added in. Aged 13 months in 20% new French oak. Unfined and unfiltered. Winemaker Mark Vlossak is at the top of his game. · The wine’s aromatics build in the glass and really erupt over time, always a sign of a superior wine. The nose offers scents of fresh cherries and raspberries kissed by oak and spice. Cherry driven flavors with a floral and citric accent are offered in an elegant style that is light and harmonious. 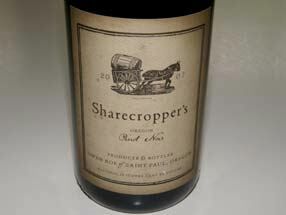 The winemaking pedigree shows through in this very good wine that will hold on and drink well for another 4 or 5 years. At $252 a case, this is a perfect choice for recession slumdogs. 13.3% alc., 3,200 cases, $25. An eight vineyard blend from estate vineyards and purchased grapes including clones 115, 777, Pommard and Wädenswil. This wine is a selection of forward and charming barrels of Pinot Noir, blended in a style ready to drink upon release. Aged 10 months in 11.5% new French oak, 21.2% 1-year French oak and 67.3% neutral oak. Once bottled, the wine was aged for 8 months before release in February 2009. Palate of soils include Willakenzie, Jory and Laurelwood. Crafted by winemaker Thomas Houseman and winegrower Jason Tosch. This bottling is the winery’s entry-level Pinot Noir. · Light ruby color. Rather intense scents of cherries, herbs and cream soda. A lighter-weighted black cherry-driven wine with a complimentary hint of vanillin and spice that finishes with a touch of grapefruit. A clean and very decent wine for drinking now. 14.1% alc., $20 (winery retail is $26), approximately 20,000 cases, screw cap. 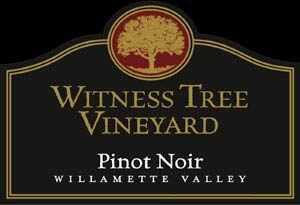 This family owned winery dates to 1988 and is located in the southern Willamette Valley in Monroe, about half way between Corvallis and Eugene. The 2007 version of this wine is in current release. · Lightly colored. Intense aromas of ripe red berries. Fresh strawberry and raspberry flavors with an underpinning of oak and spice. Supple tannins make for easy drinking. Everything you could ask for in a $20 Pinot Noir. 13.0% alc., $19 (winery retail is $24). Estate bottled. A blend from certified organic and biodynamic vineyards. · A trilogy on the nose of black cherries, raspberries and black currants. Juicy core of black raspberry fruit, subtlety spiced with fine-grained tannins anchoring the nicely structured backbone and a touch of refreshing citrus-laden acidity bringing up the finish. This wine is a steal at this price. 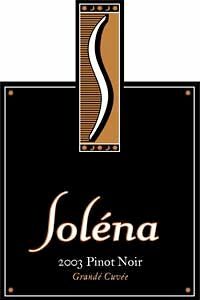 14.4% alc., 150 cases, $27 (available from Storyteller Wine Company (www.storytellerwine.com) for $24 a six pack). Proprietor and winemaker Tyson Crowley is a New York transplant who spent 12 years learning his trade at Erath Vineyards, Cameron Winery, J.K. Carriere, Archery Summit and Brick House. 75% Dundee Hills fruit from La Colina Vineyard (Wädenswil) and 25% Ribbon Ridge fruit (Pommard). Aged 18 months in 50% new French oak. Second vintage of Pinot Noir for this producer. · Prominent scent of black raspberries with a nice touch of smoky oak. Dark fruited and full-bodied with a hint of dark chocolate and charcoal. The darker side of Pinot Noir, almost Syrah-like, but never crosses the line. 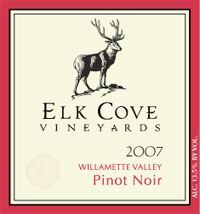 Wellcrafted and typical of many Pinot Noirs from the 2006 vintage in Oregon. You can almost make a meal out of this one. 13.5% alc., 2,937 cases, $25. A 9 vineyard blend with each vineyard cropped at approximately 2 tons per acre. 70% whole berry fermentation, 6 day cold soak, racked once before blending and aged 10 months. · Moderate light in color. Very alluring nose of strawberries, blueberries, slightly confected cherries, baking spice and graham. A playful wine that is medium-bodied and features refreshing flavors of strawberries, raspberries and cherries with the slightest hint of herbs. Supple tannins, adequate acidity and an elegant disposition. A wine for foodies. 13.5% alc., 19,750 cases, $21. 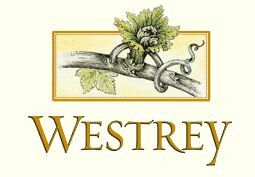 Family owned and managed winery with 600 acres on four vineyard sites. The focus is the Pinot Trilogy: Noir, Gris and Blanc. This wine is composed of Pommard and Dijon clones. · Complex aromatic profile featuring dark berry fruits, aged wood, fresh-mown grass and a hint of chocolate. The flavors echo the aromas with some added earthiness and woodsy fungi notes. Unusually hearty richness and color for a 2007 vintage Oregon Pinot Noir. Barely noticeable tannins and a dry finish. Well-crafted and easy to drink. 12.9% alc., 153 cases, $24. A blend of Pinot Noir grapes from Blakeslee, Shaw Mountain, Kalita and Palmer Creek Vineyards. Aged 9 months in 33% new French oak barrels. · Cherries, strawberries, roasted nuts and oak char on the nose. Tasty fruit flavors of red cherries, cranberries and strawberries with a little mocha in the background. Tannins are nicely managed and the whole package is very clean and refreshing. A dependable Pinot for mealtimes. 13.5% alc., 1,350 cases, $24. A relative newcomer in Oregon founded in 2002 by John Grochau and his wife Kerri. John is a sommelier (13 years at Higgins in Portland) who learned his winemaking at Brick House and Erath Winery. This wine is a blend of 4 vineyards. · Darker fruited nose enhanced by scents of violets, grapes and buttered toast. Blackberries are most prominent on the palate. The wine has a very sensual velvety texture, minimal tannins and a lively acid backbone making it easily approachable and satisfying. I have found that sommeliers have a special winemaking touch, particularly with Pinot Noir. 13.5%, $21, screw cap. Second label from Hamacher Wines (Carlton Winemaker’s Studio). Any wine in barrel after 18 months that does not elevate the quality of the Hamacher blend is “declassified” into H and sold just after bottling. The sole purpose of “H” is to make the Hamacher Pinot Noir look better, but you won’t be disappointed with “H” in comparison to other Pinot Noirs at this price point. · Shy initially but builds in interest in the glass. Red cherries, wildflowers, herbs and hay on the nose. Middle weighted cherry and berry flavors with a vein of herbs running through. Admirable richness with fine-grain tannins and respectable harmony. 13.0% alc., $23 (winery retail is $29). 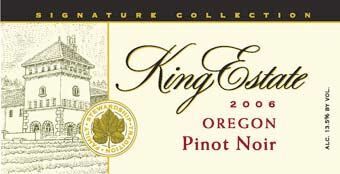 King Estate is home to the largest contiguous organic vineyard with over 465 acres planted. Director of Viticulture and Winemaking is John Albin. All vineyards are dry-farmed. Aged 10-12 months in French oak barrels, 27% new, medium toasted staves. · High-spirited scents of red raspberries and spiced cherries. Modest but satisfying cherry and berry core augmented with subtle oak accents and displaying gossamer tannins and a hint of citrus peel on the finish. Lacks some punch on the mid palate but will work perfectly fine at the dinner table. 13.2% alc., 5,500 cases, $24. Don and Jesse Lange craft stellar Pinot Noirs from estate vineyards in the Dundee Hills. 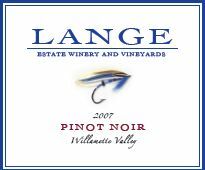 This wine is an assemblage of all the Lange Estate North Willamette Valley vineyard sites. Aged 9 months in 10% new French oak. · A redder profiled wine typical of Dundee Hills. Pleasing accents of oak, herbs and orange peel. Smooth textured with mild tannins and a refreshingly brisk finish. No rough edges. The Reserve bottling priced at $32 is also a superb wine with more fruit intensity and tannin and is built for more years in the cellar. 13.0% alc., $17. 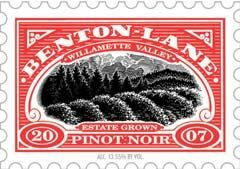 This wine is consistently one of Oregon’s top value-priced Pinot Noirs and this vintage is no exception. David O’Reilly (Owen Roe) has crafted this wine for over ten years. 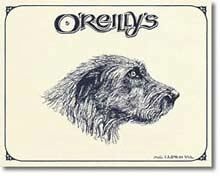 The Irish wolfhound on the label was a pub dog at an Irish restaurant and bar that O’Reilly’s cousin owns in San Francisco. Aged in 3 to 4 year-old oak barrels. 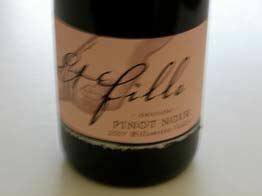 · Lighter and more feminine than is typical for this Pinot Noir but reflecting the 2007 vintage. Flavors and aromas of red cherries and cranberries augmented with minerality, spice and orange peel. Needs some time in the glass to blossom. Reminds me of the more austere Eyrie Vineyards style. 13.5% alc., $20. 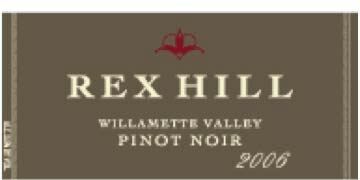 Rex Hill is named after the steep slope at the northern entry to the Willamette Valley. 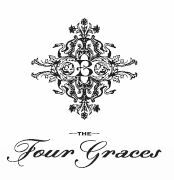 The winery is owned by a partnership consisting of Bill and Debra Hatcher, Sam Tannahill and Cheryl Francis who are also partners in A to Z Winewworks in Oregon. Aged in French oak barrels for 9-10 months. · A dark fruit hued wine that is rich and full-bodied. Black cherries, blackberries and plums are accented by tea and toast flavors wrapped around substantial tannins. 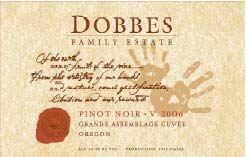 These bold wine is atypical for the 2007 vintage in Oregon but it will find plenty of fans. 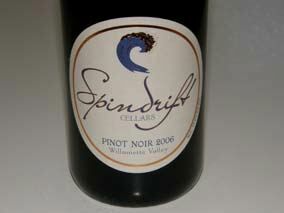 This is a very popular Pinot Noir sourced from several Willamette Valley vineyards. Like the O’Reilly’s, crafted by David O’Reilly. · Unique and pleasurable aromas of strawberry tart, brioche, sandalwood and vanilla wafers. Primarily strawberry flavors with a hint of root beer. Nicely balanced with soft tannins and a dry, clean finish. I like this wine because the acid doesn’t overpower as it does in many Oregon 2007 Pinot Noirs. 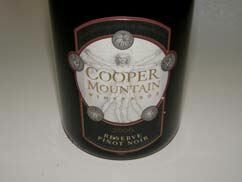 One of the best 2007 under $25 Pinot Noirs I tasted. 14.5% alc., 3,500 cases, $22 (winery retail is $25), Vacu-Seal (glass). Crafted by Laurent Montalieu and Danielle Andrus Montalieu from vineyard sites throughout the Willamette Valley including the Estate vineyard Domaine Danielle Laurent. Grapes were fermented in small lots with total of 20 days of skin contact. Aged 6 months in 17% new French oak barrels. · Unfined and unfiltered. Shy but pleasant scents of red and even tropical fruits. Satisfying core of red berry and red plum fruit with some underlying earthiness. Nicely composed and harmonious with fine-grained tannins. 14.2% alc., $25, screw cap. This winery is located in Philomath, Oregon, 5 miles west of Corvallis. The few wineries in this area are not as visible as those from the northern Willamette Valley but the wines are equally fine. Aged 10 months in French oak barrels. · Unfiltered. Perfect marriage of crushed berries, herb garden, flowers and barnyard on the nose. Tart berries, including cranberries, on the palate with a touch of oak. Decent richness, smoothly textured and a pleasing citrus lift on the persistent finish. Plenty to like here. 13.5% alc., $18.50 (winery retail is $29). A popular choice in restaurants and a wine I recently drank at Wild Fish Restaurant in Newport Beach, California. From the owners of Black Family Vineyard in the Dundee Hills AVA. Pommard and Dijon clones. Sustainable farming and yields of no more than 2 tons per acre. · Deeply colored for a 2007 vintage Pinot Noir. Black cherry is the driving force in this wine on the nose and among the flavors with some accents of roses, oak toast and spice. A cozy wine with a respectable tannic structure and a dry finish. 13.6% alc., $25 (winery retail is $28). From the Witness Tree 100-acre estate in the Eola Hills. · Nicely perfumed with black cherries, spiced plums, herbs and new oak. Easy to cozy up to with tasty dark stone fruits, vanillin, Moroccan spice and char with a lively finish. A well-crafted daily drinker. 13.5% alc., $22. Amy Wesselman and David Autrey craft small lots of Pinot Noir from purchased grapes and their estate Oracle Vineyard in the Dundee Hills. Their wines tend to be lighter and more restrained, are built for aging and are very sensibly priced. · Shy but pleasant aromas of red fruits and Provencal herbs. The red fruit theme carries over in the delicate flavors which include a judicious touch of spice. Juicy and crisp with supple tannins.